The Conversion System for Shorter Fences will allow you to add up to 3′ overall to the height of your existing fence… Now you can use Purrfect Fence to Cat-Proof your fence or wall even if it is only 3′ high! 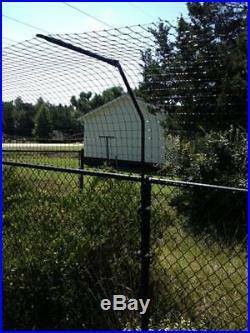 The Conversion System for Shorter Fences will convert your shorter fence into. 12 Cat-Proofer spring-loaded arms. For each arm, the associated mounting brackets and a 6′ tall roll. The extension tubes are made of thick 14 gauge steel (an arm set as high as possible on an extension tube can hold well over 50lbs). The scrunched end of the extension tube slides inside of the leg of the Conversion System Arms. The included high-strength epoxy bonds the pieces together. Once glued up, the extended arms slide into two mounting plates spaced a minimum of 4 apart secured to your fence posts with the top mounting plate set as high as possible on your post. Slide the arm to be at the desired height, tighten a set screw on each plate and your arm is secured to your post. Repeat this for all your posts and the fence material is ready to install. 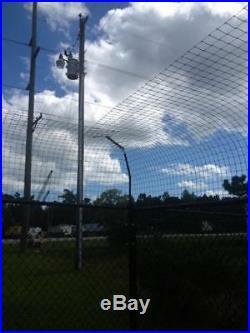 Please note: If the fence is chain link, decorative aluminum or other metal picket fence you will need U-Bolts to secure the mounting bracket to the posts. For every 100 feet ordered, it will include. (12) Pivoting Cat Arms. 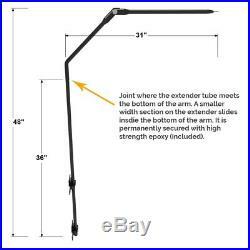 (12) 36in Long Arm Extenders. (24) Arm Mounting Brackets. 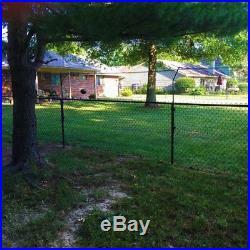 (1) 6ft x 100ft Roll of Heavy Duty Black Poly Fence. 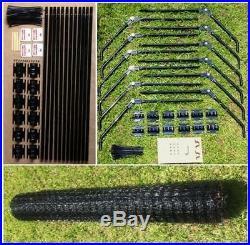 (2) Standard Zip Ties (bag 100). Items of note when planning your order/layout. Each existing fence is unique! The maximum span between arms is 12-14 feet. 8-10 Feet is preferred. 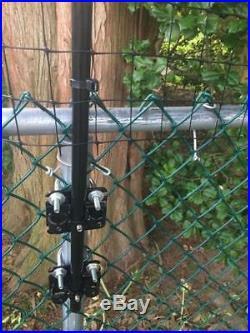 Count and measure the distance between your posts to ensure that a kit will cover your fence. 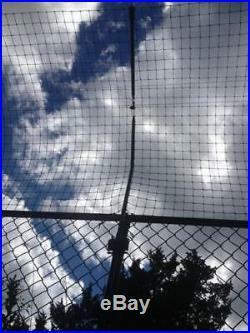 Gates in your fence line require special consideration. Read below for more information on gate planning and installation. Gates need to be considered separately for your layout plan. 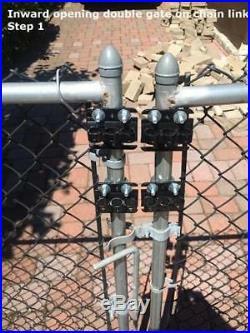 Each gate in your existing fence is likely to need additional components depending on the location and operation. 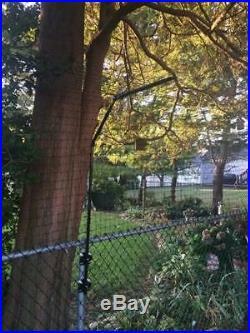 Many inward swinging gates require 1-2 extra arm/bracket(s) per gate. Your situation may vary. 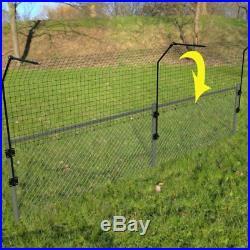 Many outward swinging gates require 2-3 extra arm/bracket(s) per gate. 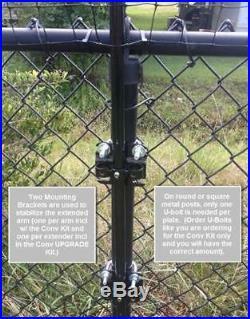 The item “Purrfect Fence Existing Fence Conversion System for Shorter Fences Kit” is in sale since Wednesday, September 5, 2018. This item is in the category “Pet Supplies\Cat Supplies\Furniture & Scratchers”. 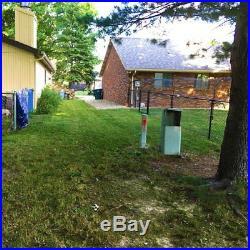 The seller is “pypventures” and is located in Lake Orion, Michigan. This item can be shipped to United States.